THE tribute to Rick Parfitt in Woking Crematorium for his funeral last Thursday could not have been more poignant. 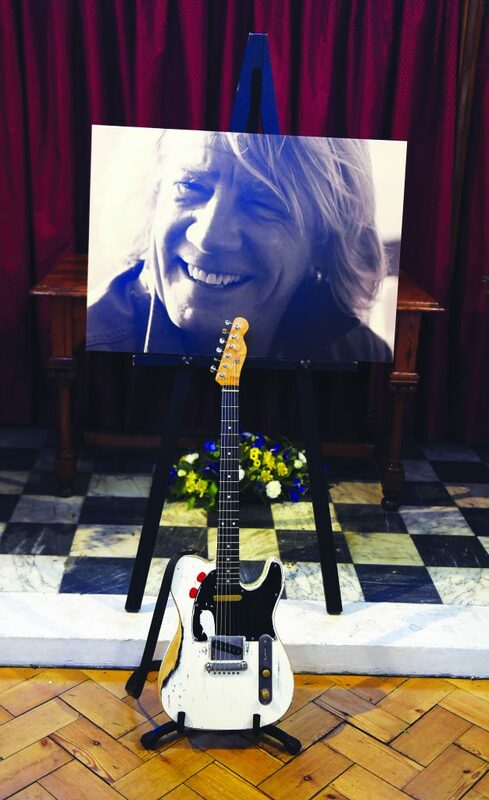 Mourners entered the chapel to see one of Rick’s Fender Telecasters on a stand in front of a large black and white photograph of the Status Quo legend. This picture – the well-worn guitar complete with two plectrums tucked into the facing – is by showbiz photographer Danny Clifford. Danny, a friend of Rick and his family, has taken many shots of the Sheerwater-born star and his bandmates over the years. The funeral was his toughest involving Quo yet, he said.